Good morning. last week, we telephoned to request a repair visit from your company for a Stannah Stairlift we had just installed. Your engineers arrived and were cheerful and competent from the beginning. The problem was identified quickly and they asked if I wanted them to check everything was set correctly, to which I agreed. Both worked quickly and efficiently and adjusted all the settings which I had got wrong and adjusted the seat for my wife. I considered the time they spent her, including the call out of £90 as excellent value for money. I shall certainly use your company again should there be a need. Many thanks. I would like to extend a big thankyou to you and your colleagues for the assistance you continue to give us and our colleagues when they require support. It is appreciated. Kind regards. Dear Mr Sykes, Many thanks for all your help-we are delighted with the stairlift, it has made a huge difference to all our lives. Yours sincerely. Very pleasant team, very professional, good job all round! All dealings with this firm have been excellent. Engineers are A1. From our first meeting when we were thinking about a stairlift for my Mum, they were courteous and put us at ease including my Mum who felt that she was failing as she struggled with the stairs. She was made to feel important and encouraged that the stairlift was not to point out ‘weakness’ but to help her regain her independence and strength. They were honest and encouraged the best options, even discouraging a pricier option that was not needed. The care has been amazing. A fault developed several years after installation and was very quickly fixed and didnt cost a fortune. Again 2 resolutions 1 expensive 1 less than £50!! Again we were encouraged to try the cheaper fix and were promised if it didnt work, the other resolution would be put in place less anything we had already paid. Again the advice was first class. The cheaper option has resolved. 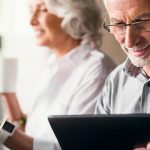 I would not hesitate to recommend Sykes and as my parents enter older age and need help I will be calling on Sykes for devices that will enhance my parents life quality. Honest, trustworthy, reasonable cost and caring. What more could you want from a company??? TOP CLASS. Genuine people with realistic prices & service. Will recommend to anyone needing the same in the future. From the first enquiry, the service we have had has been first class. The initial survey, communication and the fitting service was carried out to the highest standards. the whole team were courteous, prompt, and very professional. All in all, an excellent service from a brilliant team. Pleased with overall service. Quick and clean. Polite workman. Good price. Thanks for the service and check! Your fitters are doing a fine job. I cannot praise your company enough. The service Ive been given is second to none. All the men who have come to my lift, have been gentleman. The service was good, clean workers and polite. Hi, I phoned you this morning on arriving home from The Breathing Space, Rotherham. I was terrified after my stairlift broke down on Saturday night, resulting in me being taken to the above facility, and wanting to problem to be solved as soon as possible. Your engineers were with me in just 1 hour and speedily sorted me out. It was apparently myself that caused the problem with the batteries in the hand control. I will know in future to only change one at a time. I cannot thank you and your engineers enough, both for your speedy attention. Please feel free to share this email on your website. Once again, many, many thanks and I will see your engineers in the New Year. Excellent service, and as many stars you wish to use. A top quality company. Well pleased with product & service. Fitter polite, clean and tidy. Would reccomend. Very pleased with the service I recieved, cannot fault the company. Very reliable stairlift. The engineers are prompt, very helpful and give an excellent service to the customers. Both my wife and I wish to thank you for your excellent, remarkably quick response to our request for help last week. John Sykes was here within 2 hours of my phone call to survey for the installation of a stairlift with a promise to have one fitted within 2 working days. To help us with our need your installers did that job within 6 normal working hours, which was phenomenal, and we both want you to know just how grateful we are. There is every chance that we will need to extend our rental for at least 1 further month after the initial rental period and will be pleased to receive your invoice and make payment on the due date. Very best regards and the Season’s Greetings to you all. I just wanted to say what a fantastic and efficient service you have provided to myself and my family. I never expected the service to be quite so amazing. From the first email sent on a Sunday to your dad coming on the Monday to it being fitted on the Wednesday was just phenomenal! I have told everyone and anyone I can about the service you have provided….and will continue to do so. Thank you from the bottom of my heart. Kind regards. Excellent company to work with. Explained different options to us simply and clearly and helped us make the right decision. Would highly recommend. We are well pleased with stairlift. Friendly workmen. Extremely pleased with prompt and professional service. Measurements taken Tuesday afternoon; necessary modifications made Wednesday and stairlift fitted within an hour on Thursday. Would not hesitate in recommending Sykes to anyone. I recently contacted Sykes Stairlifts to arrange for them to dispose of my Mum’s stairlift as she is now in a care home and we don’t need it anymore. I originally contacted Stannah where the stairlift was bought from years ago and they told me they would be able to dispose of it but it would cost £400+!! 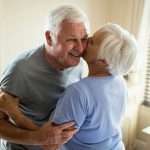 So I contacted Sykes Stairlifts and they were brilliant, they were kind and considerate and arranged to come and remove it witin a few days at a very good price. They came today and it only took 20 minutes, and they were so friendly and kind and now it has given me great relief that the job has been done at a great price and great company. I would recommend anyone looking to buy or dispose of a stairlift to contact Sykes Stairlifts as the certainly get 10 out of 10 from me. Brilliant service provided by Sykes. Fitted within a couple of hours, no mess to clear up afterwards. I feel I must let you know how highly satisfied Iam with everyone. Ive come into contact with Sykes via a friend who had highly recommended them. I would like to say a big Thankyou! The young man who came to service the stairlift is a credit to your company. Keep up the good work. The boys have done a very good job on my stairlift. Iam impressed with the prompt response I have received. Thankyou very much. Always prompt and reliable. Get the problem sorted usually on the first visit if there is one. Would highly recommend. Very pleased with the service and the fitters. Very nice people. Good service, no mess, no fuss, would recommend to anyone. Very friendly and efficient installation. Instructions explained clearly and chair tested fully. Very good service. Quick installation and very tidy. Operation explained clearly. Service was First Class. No Complaints. This company went above and beyond to help us, from the 1st viewing to fitting my lift was under a week. They were polite, kind and cleaned up after themselves. I would give them 10/10 for service. Always been very helpful when we have enquired about things.